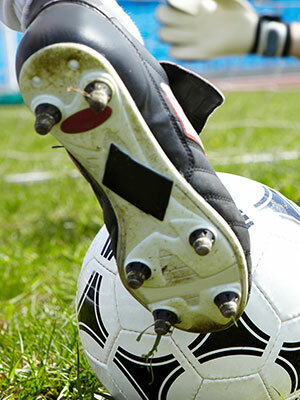 Summer Soccer season is in full swing and Alaska Foot & Ankle Specialists strongly urges parents and coaches to think twice before coaxing young, injury-prone soccer players to “play through” foot and ankle pain. Kids will play with lingering, nagging heel pain that, upon testing, might be a stress fracture. By playing with pain, the young athlete can’t give their team 100 percent and make their injuries worse, which prolongs their time out of soccer. Stress fractures can be subtle and they don’t always show up on initial x-rays. Soccer is a very popular sport in our community, but the constant running associated with it places excessive stress on a developing foot. Pain from overuse usually stems from inflammation, such as around the growth plate of the heel bone, more so than a stress fracture. Quick, out-of-nowhere ankle sprains are also common to soccer. “Ankle sprains should be evaluated by a physician to assess the extent of the injury. If the ankle stays swollen for days and is painful to walk or even stand on, it could be a fracture. Collisions between soccer players take their toll on toes. When two feet are coming at the ball simultaneously, that ball turns into cement block and goes nowhere. The weakest point in that transaction is usually a foot, with broken toes the outcome. The toes swell up so much the player can’t get a shoe on, which is a good sign for young athletes and their parents: If they are having trouble just getting a shoe on, they shouldn’t play. For further information about various foot conditions, contact Alaska Foot & Ankle Specialists or visit FootHealthFacts.org, sponsored by the American College of Foot and Ankle Surgeons.